Air Malta’s ground handling division – a loss-making section of the national airline – has been bloated with new staff and hundreds of additional full-timers on the direction of Tourism Minster Konrad Mizzi, The Sunday Times of Malta is informed. The roughly two dozen newly recruited staff, most of who hail from the minister’s electoral constituency, were put on Air Malta’s payroll a few weeks ago. They were recruited directly from JobsPlus, the government employment agency, after registering for alternative work specifically as ground handlers. The move comes just in time for Air Malta’s ground handling personnel to be hived off into a new State entity as part of ongoing efforts to make the airline profitable. Sources at Air Malta told the newspaper that despite the hiving off meant to have been carried out earlier this year, it has been postponed to next March. “Despite the fact that the ground handling department loses money, the Tourism Ministry has taken this opportunity to recruit more staff, just before all employees are to be transferred onto the State’s payroll,” one source noted. The minister did not reply to the newspaper’s questions on the matter. He was asked to say how many ground handling employees are currently on Air Malta’s books and how many have been recruited over the past few months, as well as why the hiving-off of Air Malta’s ground handling operations had not happened yet despite having been announced more than a year ago. On its part, Air Malta, which is currently preparing to present its latest financial results, also refused to give any details, citing “commercially sensitive information”. The Sunday Times of Malta is informed that the operation to transfer staff to the new company was postponed by a few months. One source questioned whether this was intended to “settle some political commitments” with constituents. In another eyebrow-raising move, some 300 part-timers at the ground-handling unit have been employed on a full-time basis, with full salary, joining the other 150 full-timers on the company’s books. 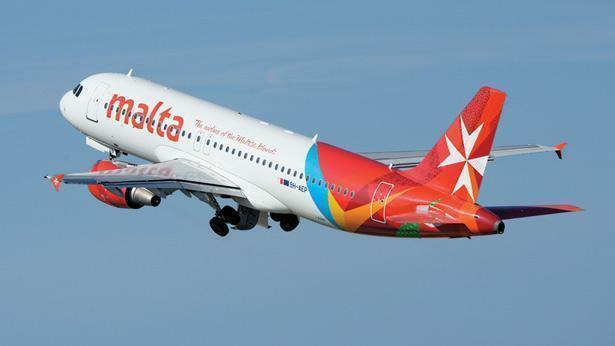 The new State company intended to take over Air Malta’s ground handling operations – Airmalta Aviation Services Ltd – was formed by the Tourism Ministry last January, through a memorandum signed by Dr Mizzi’s permanent secretary, Ronald Mizzi. The minister’s personal lawyer, Aaron Mifsud Bonnici, was nominated as the company’s first board secretary while another of his close associates, Mario Zammit, was nominated as the new company’s chairman. Mr Zammit, from Tarxien, was appointed chairman of the Water Services Corporation when Dr Mizzi was politically responsible for the corporation. Only a few weeks before the last general election, the corporation recruited about 150 fitters, most of them hailing from the electoral districts contested by Dr Mizzi. The transfer of the ground handling operation to the new company is intended to improve the commercial viability of Air Malta and make its accounts look leaner. The heavy wage ‘burden’ and the section’s losses were eating up profits from purely aviation revenue. With the formation of the new State company, Air Malta will now only pay for services rendered and any ground handling losses will be forked out by taxpayers.